Common Door products we provide statewide. 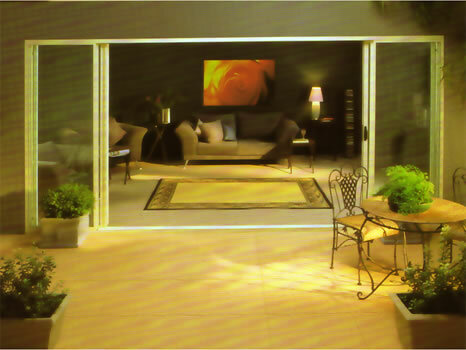 Sliding doors have always been a convenient & cost effective way to access decks, patios & other outdoor areas. They not only allow ease of use but can provide excellent ventilation in the summer months. Flydoors are integrated into the frames & can be updated to security doors if needed. We use the latest Lockwood ‘Onyx’ door locks incorporating twin locking beaks & dead lock feature for added security. 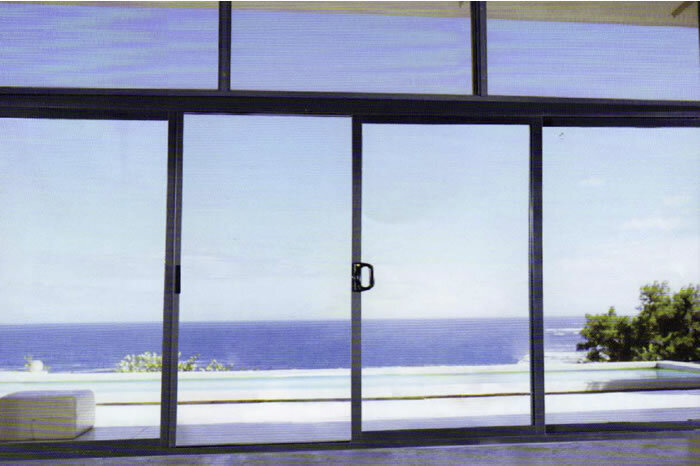 The MK5 sliding door is used in single glazed applications. The Platinum sliding door is used in double glazed applications & is purposely designed to take a double glazed unit with a 12mm air gap. Although any size can be manufactured standard sizes are available & are cheaper. A list of standard sizes are shown below. Multistack sliding doors deliver a fashionable new look & provide a cost effective way of combining the indoors with the outdoors. 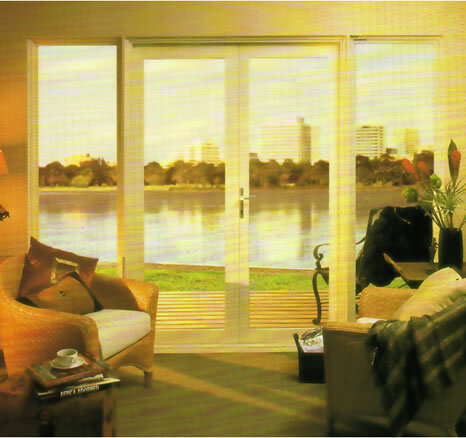 Multistack sliding doors offer wide expansive openings similar to that of bi-fold doors at a much lower cost. Multistack doors are available in the MK5 single glazed or the high quality Platinum double glazed range with a 12mm air gap. 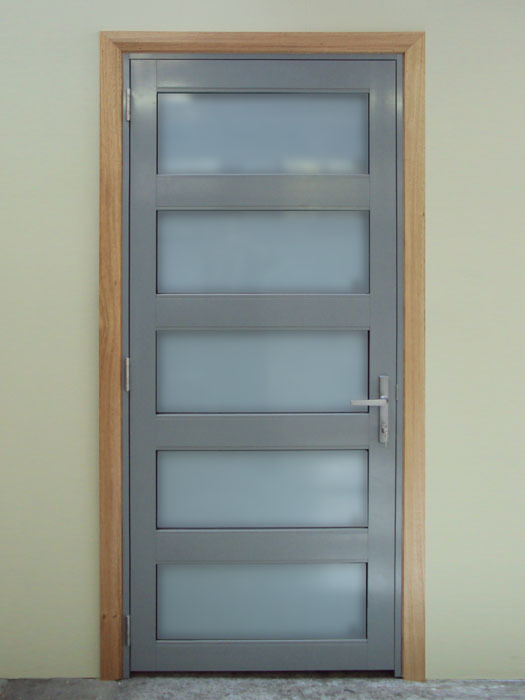 Flydoors are often not fitted to the Multistack sliding doors, however with the addition of an extra frame to the door at the time of manufacture can be an option if required. Standard configurations are 3 panel (2 sliding 1 fixed) & 6 panel (1 fixed 4 sliding 1 fixed). Although any size can be manufactured standard sizes are available & are cheaper. A list of standard sizes are shown. 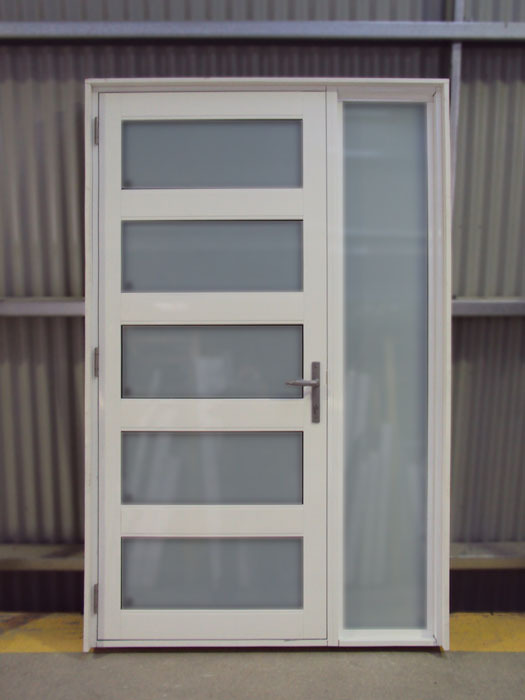 The Platinum range of hinged doors are made from semi commercial profiles producing a strong door with great looks. Stainless steel hinges, lever handles, deadlocks & high quality flush bolt hardware are some of the features you will find on our doors. Quality Q-Lon seals around the door frame opening provide improved weather performance preventing water & air penetration resulting in a tight secure door. The frame has self draining sills with a security door rebate built in. Available in single & double glaze, with sidelites & highlites & in a number of door designs including ½ panels, full panels or multiple midrail designs. Another option is to use an aluminium frame to match your windows & hang a timber door of your choice. Bi-fold doors are simply the best option to open up your living & dining areas to the outdoors. After many years of research & design innovations we now manufacture the Artisan Bi-fold System. Features include high quality 316 marine grade stainless steel components, top hung for effortless operation, multiple seals for water & draught exclusion & a variety of sills for exterior or interior use. Exterior doors generally open outwards to provide the best weather proofing, however if they open onto an alfresco dining area where total water exclusion is not necessary they can be made to open inwards. A range of designs allow for access doors which can be used like a standard hinged door or all doors folding to make a openable wall. Bi-fold doors are available in single glazed or double glazed with a 16mm air gap. 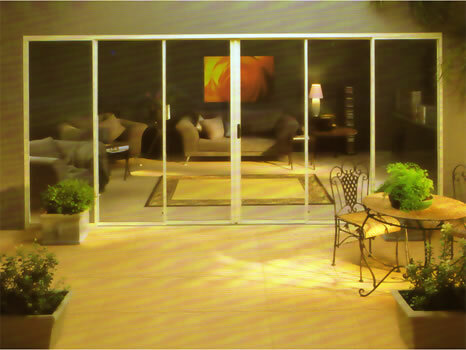 Bi-fold doors offer a great look & will give a touch of class whether in a café or in your home. 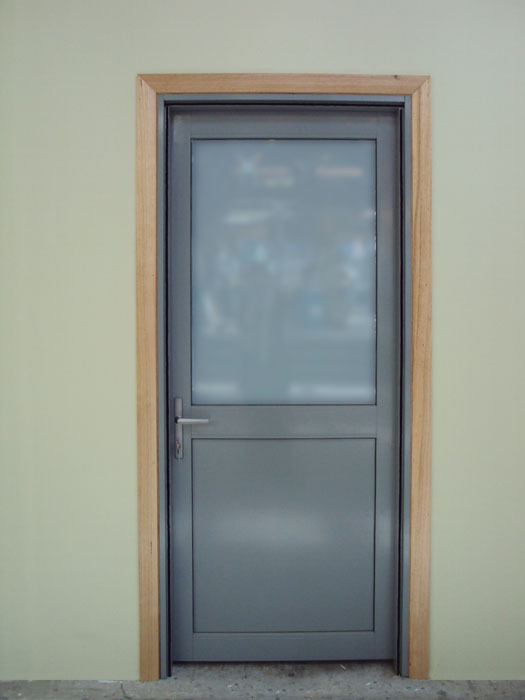 We manufacture & install a range of commercial door options. From fully framed in the 200 Series door to frameless glass. Depending on the amount of space available or access options required doors can be hinged, sliding, pivot or electric operated automatic doors. Doors are generally framed in one of the commercial framing systems but frameless doors can be suspended within a toughened glass assembly with automated doors. We supply, install & commission the Dorma Automatics ‘Horizon’ range of door beams. They can be locked manually or if in a fire exit situation an electric lock with an emergency egress button. All come with a two (2) safety beam light cells, microwave activation sensors, fail safe devices & battery backups. The door speeds & opening times are fully adjustable with operating settings via a mode pad for fully open, half open, exit only or off. Integration with fire alarms is also available & power supply only requires a standard 240 volt power point. With all doors a range of hardware is available including lock options, door closers, handles, thresholds & draught seals. Framed doors can be single glazed or double glazed. 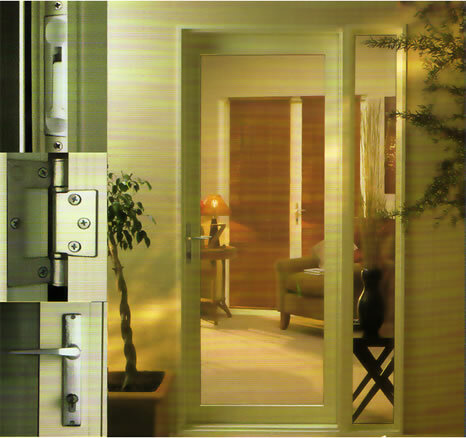 Frameless doors are manufactured in single glazed using toughened glass.